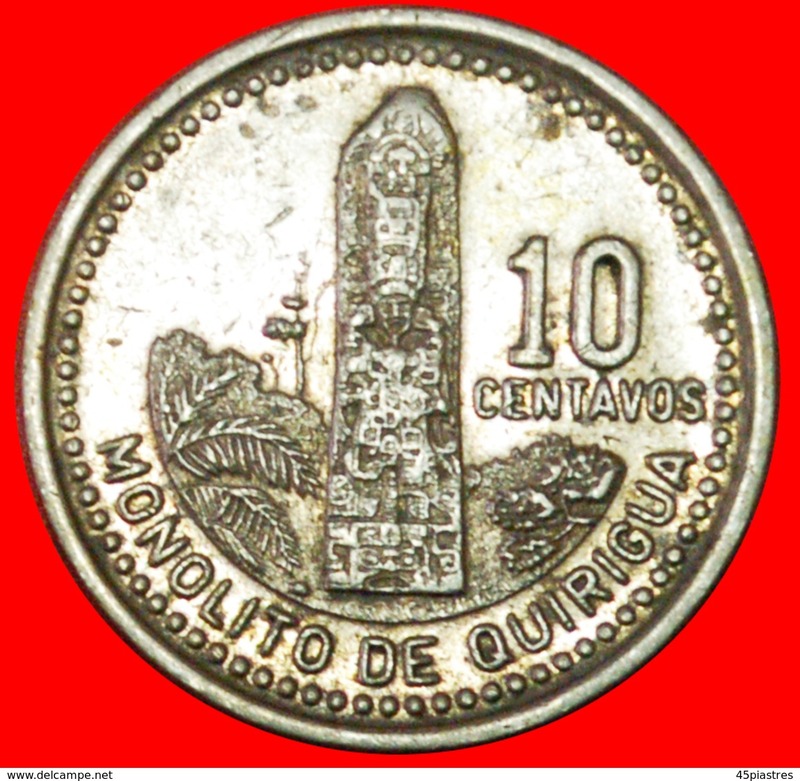 Guatemala - # MAYAN SCULPTURE (1976-2009): GUATEMALA ★ 10 CENTAVOS 1997! LOW START ★ NO RESERVE! 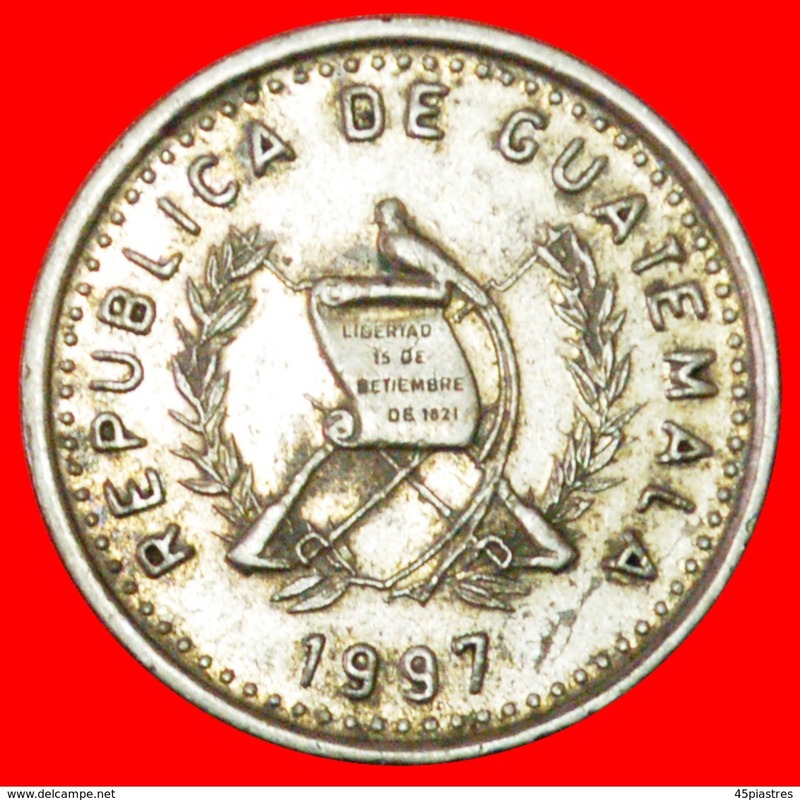 # MAYAN SCULPTURE (1976-2009): GUATEMALA ★ 10 CENTAVOS 1997! Interesting type in attractive condition with Mayan Pillar of Quirigua - large ceremonial site with tall freestanding sculptures. # DOVE (1998-2012): GUATEMALA ★ 1 QUETZAL 2001 MINT LUSTER! LOW START ★ NO RESERVE! # BIRD (1977-2010): GUATEMALA ★ 5 CENTAVOS 1998 MINT LUSTER! LOW START ★ NO RESERVE! § BIRD 1996: GUATEMALA ★ 1 QUETZAL 2008! LOW START ★ NO RESERVE! # BIRD (1971-1976): GUATEMALA ★ 25 CENTAVOS 1971! LOW START ★ NO RESERVE! # ORCHID (1998-2007): GUATEMALA ★ 50 CENTAVOS 2007! LOW START ★ NO RESERVE! # BIRD (1967-1970): GUATEMALA ★ 25 CENTAVOS 1970! LOW START ★ NO RESERVE! # BIRD (1977-2000): GUATEMALA ★ 25 CENTAVOS 1990! LOW START ★ NO RESERVE!